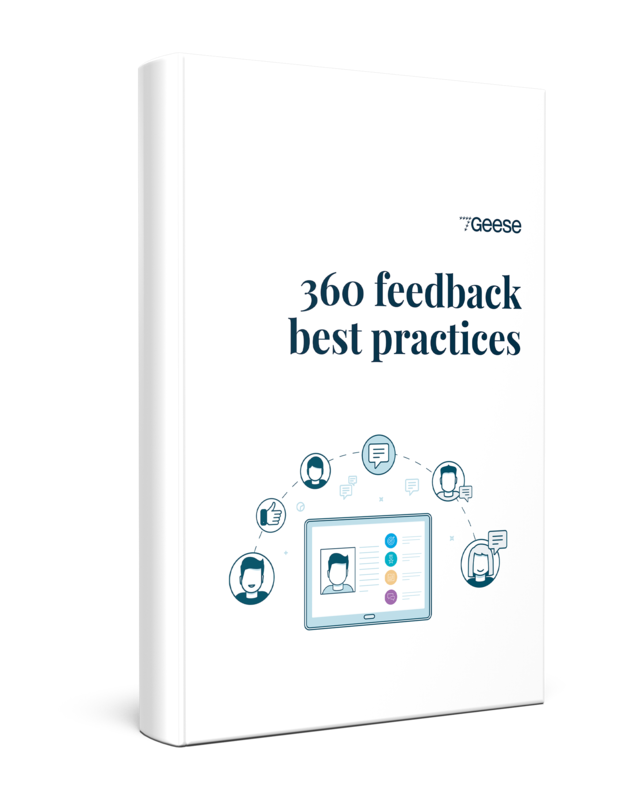 This ebook is designed to give you an overview of what 360 Feedback is, who 360 Feedback involves, when to use 360 Feedback and why 360 Feedback may benefit your team more than other forms of feedback. 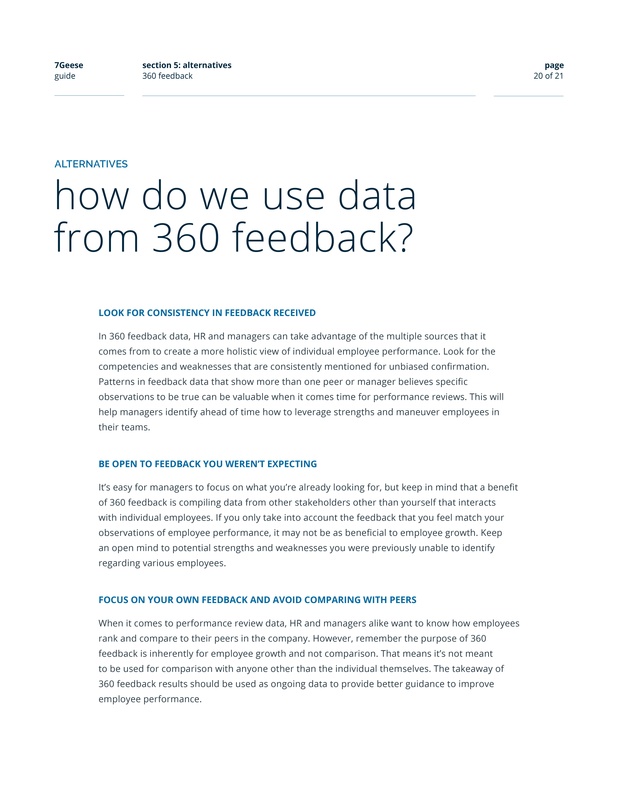 360 feedback is a tool that increases engagement, identifies training opportunities and helps employees develop in their own role, according to Forbes. 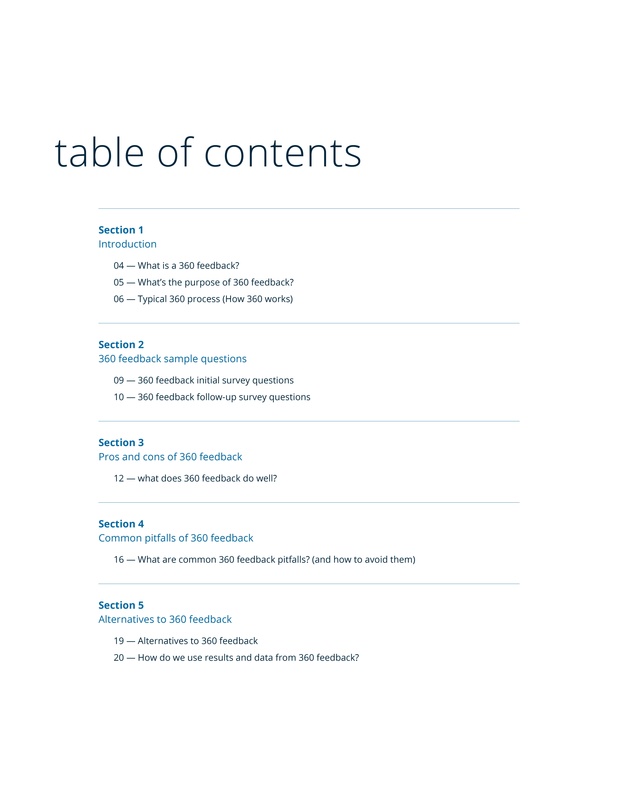 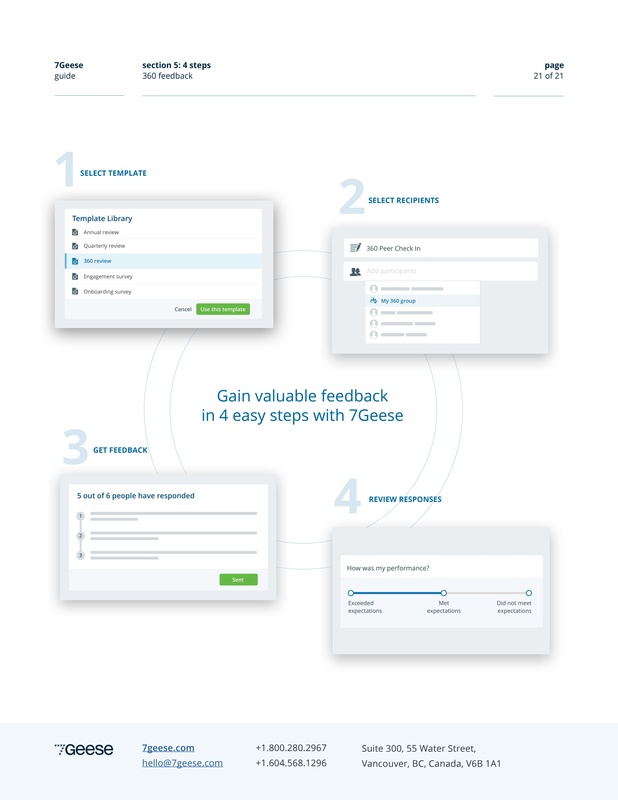 This ebook was designed to get you started using feedback in your organization.